Relapsing polychondritis is a chronic cartilage ailment. The chondritis is cartilage inflammation. 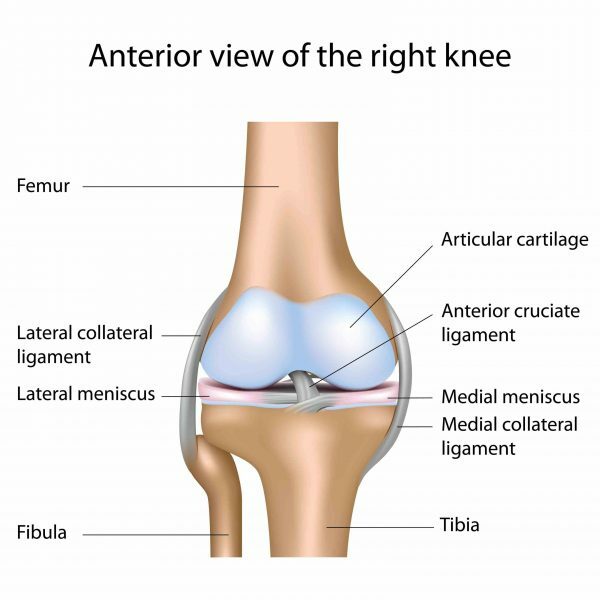 Cartilage is the hard flexible connective tissue between knee bones. It is an important structural element of the body. Relapsing polychondritis identifies by repeated occurrences of inflammation in the cartilage and different tissues of the body. This disorder’s inflammation can occur in the following parts of the body. The other body parts such as the heart, eyes, central nervous system, and blood vessels. These parts contain a biochemical composition which is similar to cartilage. These body parts also get affected. This disease is also known as a red ear syndrome. Relapsing polychondritis is a severe abnormal disease of cartilage. It identifies by repeated painful inflammation. This disorder affects all kinds of cartilage. Mainly it affects nose, ears and joints cartilage tissues. Relapsing polychondritis have no particular test for diagnosis. Its treatment includes cortisone medications. Patient with Relapsing polychondritis gets unpredictable symptoms. There is no more evidence about the cause of Relapsing Polychondritis. But, it happens because of an autoimmune ailment. In autoimmune disease, the immune system attack and damage the cartilage tissues in the body. However, an assumption that humoral immunity and cell-mediated immunity are responsible. The causes of disease encounter are not known. There is no proof of a genetic predisposition to growing relapsing polychondritis. Still, in some cases, many members of the same family have found with this disease. According to studies, some genetic contribution is susceptible. It is an immune system disorder which occurs in healthy tissues (cells). The autoimmune disease affects own immune system cells. The autoimmune ailment is common in people with diabetes. Particularly type 1 diabetes patient get this disease. During type 1 diabetes, the disease preventing system mistakes own cells in the pancreas as a harmful foreign attacker and damage them. It affects insulin production and blood glucose levels. There are many types of auto-immune condition such as type 1 diabetes, rheumatoid arthritis. 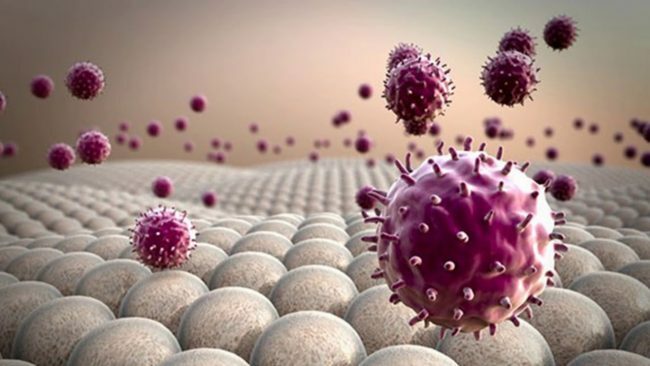 The immune system guard against harmful anti-agents in the body. The immune system produces antibodies which are special proteins to prevent diseases. These special proteins identify and kill the antigens. In some case, the immune system cannot differentiate between healthy and harmful antigens. As a result, sometimes it attacks and damages normal cells. In people with diabetes, the immune system mistakenly targets beta cells, which produce in the pancreas. This effect results in autoimmune disease. The exact cause is unknown, but some malfunctions can happen due to the following things. 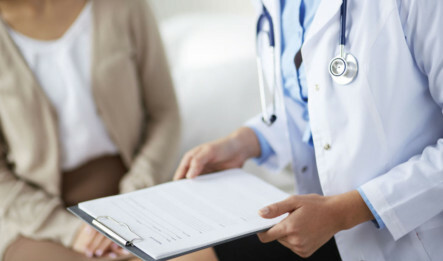 According to studies, the autoimmune disorder happens in families and more prevalent in women. The autoimmune system not only damages body cells but also affect the functions of organs. It may also cause the unusual growth of organs. This disorder often occurs in the following body parts. This disease can affect multiple organs at the same time. That’s why many people suffer from multiple autoimmune disorders same time. There are more than 80 disorders caused by autoimmune disorders. Here are the most common disorders. Addison’s disease: In this immune system affect the adrenal gland and disturb steroid hormones production such as cortisol and aldosterone. Coeliac disease: In this disease immune system affect the substances of gluten and harm small bowel surface. It affects the ability to extract nutrients from food. Graves’ disease: This disease makes an immune system to attack the thyroid gland. It causes to increase the production of thyroid hormones. You can also identify it as hyperthyroidism. 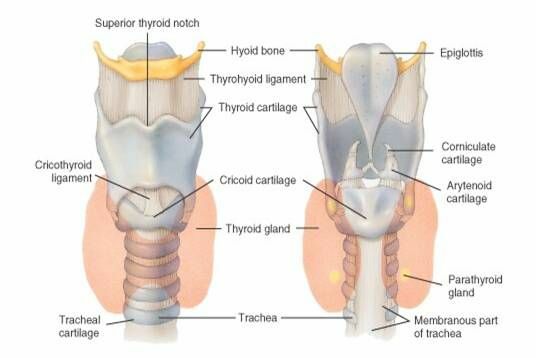 Hashimoto disorder: In this also immune system affect on thyroid gland but causes an underactive thyroid gland. Multiple sclerosis: In this disorder immune system affect on myelin sheaths. It is a nerve fibers protector, which carries a signal to the brain. It causes back scarring which also found as sclerosis. Reactive arthritis: In this disorder, the immune system assumes the presence of the previous infection and attack healthy cells. It will cause inflammation. Rheumatoid arthritis: Immune system targets the cells around joints. It will result in painful swelling and stiffness in joints and its surrounding tissues. SLE-Systemic lupus erythematosus: In this immune system attack on the internal organ’s skin and joints. It leads to inflammation. Type1 diabetes: In this immune system damage pancreas cells which regulate insulin hormones. The disorder may have various symptoms of different diseases. It can be hard to diagnose the exact problem and result in the delay of disorder recognition for many months to years. Joint problems can be a primary symptom of cartilage inflammation. It can be possible you may not know the disease until it has grown half. Read below about detail symptoms that occur in relapsing polychondritis. Cartilage is important for bone movements. It acts as a cushion for joints so that while bending the knee bone will not strike together. The cartilage stays in between bones and makes a soft movement. Chondritis is another name for cartilage inflammation. The relapsing is the indication of the severe condition. It is important for the diagnosis. The repeated inflammation during the progress of disease may disrupt the cartilage. The signs and symptoms of cartilage damage can be different in different parts of the body. Cartilage has classified in 3 types. Elastic cartilage: It is the most flexible and rubber kind of cartilage. Elastic cartilage locates in the outer ear and nose. It comprises elastic fiber and collagen. Fibrocartilage: It is a hard kind of cartilage and holds heavyweights. It locates between vertebrae and discs of the spine, pelvis and hip bones. 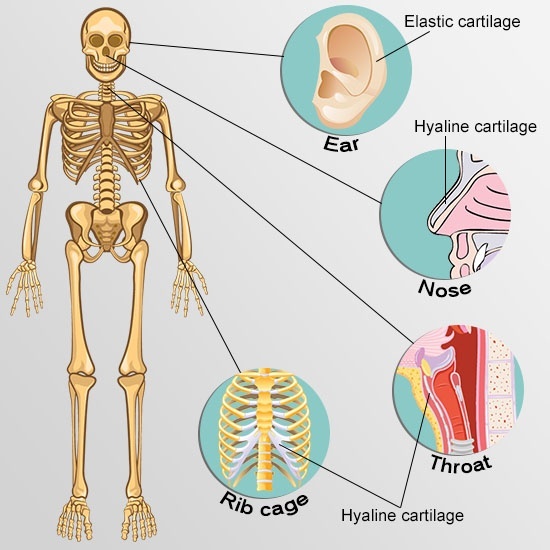 Hyaline cartilage: It is also flexible and hard elastic type. It locates between the ribs, windpipe, and joints. When the above-listed cartilage gets damaged will result in painful inflammation. Inflammation in the ear cartilage can be a symptom of Relapsing Polychondritis. Nearly 20% of people can get this symptom. It may affect both ears, but inflammation may occur in any one ear at a time. It may occur in the outer part of the ear, but earlobe remains red, swollen, warm and painful to touch. The ears inflammation may stay for a few days or week. Later it will resolve automatically and repeat after some several intervals. The loss of cartilage causes ear deformity. The ear’s outer part may become floppy or hard. The hardened cartilage gets converted in to scar tissue as classification. 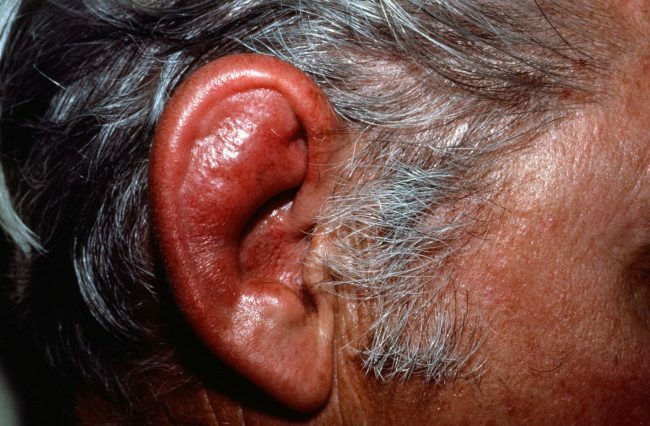 It is also known as cauliflower ear which occurs in 10% of relapsing polychondritis cases. 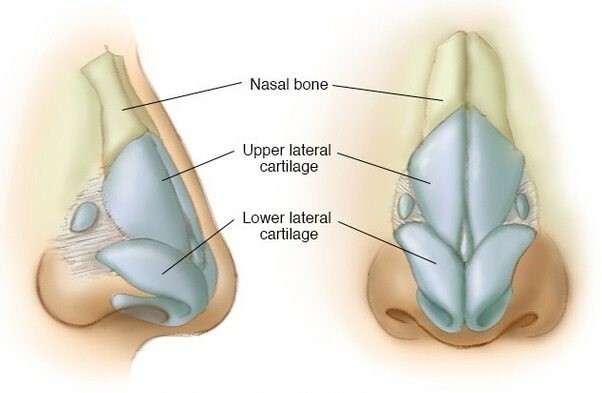 The nose cartilage found in the bridge of the nose. According to statistics, a clinical indication is available in 15% of people with Relapsing polychondritis. There may be symptoms of nasal obstruction which is an uncommon feature. Atrophy may slowly develop and unable to find easily. It won’t show any symptoms. The slow progress can cause to collapse of the nasal septum. You may notice nasal trauma which is a nose cartilage deformity. It may be painless but constant. You may get inflammation symptoms in bronchial, tracheal and laryngeal cartilages. It is an autoimmune disease which commonly occurs in the female. The respiratory cartilage inflammation can be a life-risking disease. It is the reason for one-third deaths among the people with Relapsing Polychondritis. Laryngeal chondritis reported pain in the thyroid gland. Especially dysphonia with transient aphonia causes a hoarse voice. It happens because the disorder is relapsing. The repeated laryngeal inflammation leads to laryngomalacia. It may cause recurring laryngeal stenosis with upper airway obstruction to need emergency treatment. You will require tracheotomy for the permanent or temporary measure. Tracheobronchial is a chronic sign of relapsing polychondritis. It may or may not accompany with laryngeal chondritis. This condition leads to the expiratory breakdown of the tracheobronchial tree. Relapsing polychondritis may attack multiple organs of the body. Some individuals get symptoms such as weight loss, malaise, and fever. It is the second most symptom of relapsing polychondritis. The joint pain may occur without arthritis and affect synovial joints. During a presentation, nearly 33% of individuals have found a joint symptom which involves polyarthralgia and polyarthritis. It also identifies as oligoarthritis. This disorder often repeatedly appears in various parts of the body. It may also appear as migratory, asymmetric and non-deforming. The most common areas of disease involvement are the metacarpophalangeal joints, knees and proximal interphalangeal. It also affects the wrist, ankles and elbow joints. The case of the axial skeleton is very rare. The test of rheumatoid found negative in the patient of relapsing polychondritis. These disorders can result in blindness. Contract (a cloudy form in lenses) relates to the exposure of glucocorticoid. The involvement of relapsing polychondritis with kidneys can happen due to primary renal parenchymal disease. It may also relate to vasculitis or autoimmune disorder. 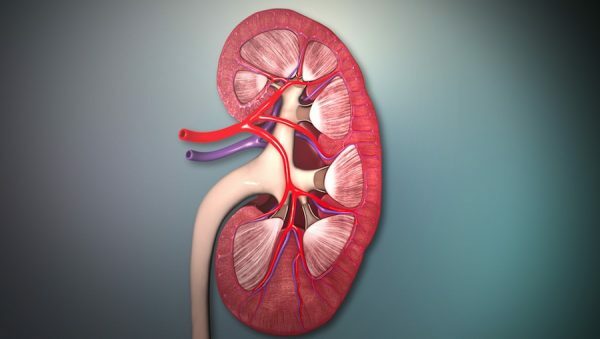 The kidney involvement is rare and reported with raised creatinine levels in 10% people. Creatinine is the waste product which breaks down muscle cells. A study has shown 26% of abnormalities in urinalysis. The kidney disease involvement indicates a worse sign of 10 years of 30% survival rate. The central nervous system disease is rare and occurs in 3% of cases of Relapsing polychondritis. It is also related to concomitant vasculitis which is a blood vessels inflammation. The most obvious neurological signs are diseases of the cranial nerves (the nerves directly connected to the brain). Some other signs include ataxia, hemiplegia, polyneuropathy, and myelitis. These signs are present in scientific literature. In some cases of magnetic resonance imaging of the brain displays constant multifocal areas with cerebral vasculitis. Your doctor will ask you about signs to examine the disease condition. You may need a blood test to find inflammation reason. The doctor may also request X-rays to know the affected portion. In some cases, the doctor suggests the biopsy in which the doctor will check a small amount of tissue under a microscope. Your doctor may test the following things. This disease doesn’t have exact treatment. There are insufficient people in research for testing treatment. However, the treatment can determine with the help of symptoms and affected organs and its severity. The medicine steroids such as prednisone can help to reduce inflammation. In serious conditions, the doctor may prescribe stronger medications to slow down the immune system. In some cases, the treatment needs surgery if any organ develops any damage such as a heart valve or breathing tube. However, the research found a small number of people to test the treatment. Therefore treatment is uncertain. In some cases of respiratory diseases, plastic tube insertion for keeping the airway open can be useful. The respiratory treatment also involves repairing of the windpipe. Antibiotic can be helpful for the people who have a chest infection. The polychondritis treatment varies a lot. People have a shorter lifespan if their lungs have this disease. Still, the disorders which are mild and respond well to treatment are best for diagnosis. Relapsing polychondritis is severe but tolerable. People with this disorder may get the hearing problem, blur eyesight and breathing problem. Keeping your immune system healthy and treating symptoms before it gets sever can be helpful to avoid the seriousness of relapsing polychondritis.